January 30, 2010 In News What is Michelle doing now? A ‘lifestyle’ couple, photographed on location in Casares, Malaga province; the beautiful white hill-top village of Zuheros, in Cordoba, shot during one of Michelle´s workshops; poppy fields “contraluz” (backlit) near Antequera; and a studio portrait of flamenco dancer Elena Molina. 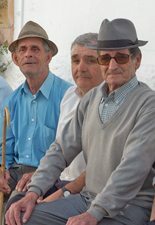 Michelle was contacted by J José Navarro, author of the book reproduced in a new book La Literatura en Murciano, to reproduce a stock image which she took of “old boys” in Istán. The inland village of Istán has a fascinating history. 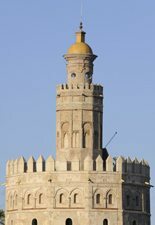 After the Christian reconquest of the Iberian peninsula in the 15th century, Arabs were barred from living within a league of the shoreline to prevent them from communicating with their kinsmen across the straits in Morocco. Istán, 15 kilometres inland, was allowed to remain, while the coastal Arab settlements were depopulated and frequently destroyed. The post-reconquest years were turbulent; eventually the Moorish population dwindled, and repopulation was deemed necessary by the Christians. So many of Istan’s new inhabitants came from the Murcian village of El Cristo de Panocho, that the people of the village acquired a nickname – panochos – which has survived to this day. As a lover of luxury and unique hotels, Michelle recommends Casa Viña de Alcantara in Jerez. Her recent visit on this occasion was not for photography, but as the venue for the Andalucia.com thinktank day. A group of 12 professionals from the Andalucia.com team came together to come up with new ideas and formalize the team strategy for 2010. With only nine rooms – it was formerly the family residence of an aristocratic Spanish sherry family – Casa Viña de Alcantara is an ideal house to hire. 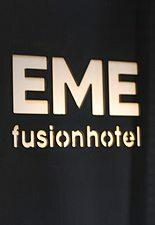 The hotel has a home-from-home atmosphere – big open fireplace, family photos, honesty bar – with an Anglo-Hispanic touch. Beautiful frescoes and paintings adorn the walls, and the palette of colours is perfectly harmonious – all in the best possible taste. Visitors who are interested in Jerez`s most famous tipple will enjoy a trip to the family’s sherry bodegas, a short drive away in the city. Those who prefer a more relaxing stay can have a dip in the pool and take a leisurely walk around the estate – through the woods, across the vineyards and down to the lake for a picnic. One of my favourite touches was being served breakfast by the white-gloved butler. Michelle Chaplow was commissioned to update a travel guide book to Seville for a prestigious UK Publisher. 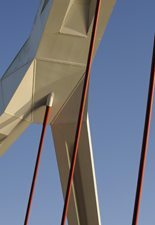 Over the last decade Seville has enjoyed many infrastructure and architectural improvements, including the careful conservation of numerous buildings of architectural, cultural and historical significance. Many of the streets in the historic centre are now pedestrianised. There have been massive improvements in transport, with bicycle lanes, a brand new metro system (one line only, so far) and a state-of-the-art tram, reducing the number of cars in the city and creating superb open public spaces adorned by elegant street furniture. It comes as no surprise that this well-maintained, elegant city is often referred to as the ‘Jewel of Andalucia’. This commission has introduced Michelle to specialist shops, such as Ceramicas Santa Ana in Triana, with its handcrafted tiles, tailor-made hat shops, boutiques selling hand-embroidered Spanish shawls; newly-renovated facades, hip hangouts, new hotels and dining locations. All in all, tips for travellers to Seville. This hotel´s big selling point is its location, location, location – you are on the doorstep of the cathedral. Modern contemporary decor, with chic minimalist details. Cocktails served on the rooftop terrace overlooking the Giralda, rooftop pool with cathedral views, reasonably-priced holistic treatments, free wifi (a relatively new concept in Spain), and four restaurants including a tapas bar and a superb Japanese, all rolled into one venue. A great place to visit with a camera!